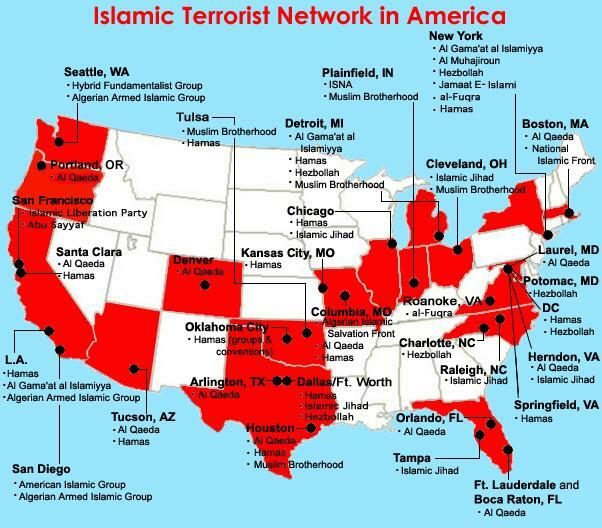 Approximately 10,000 illegal immigrants from countries designated as state sponsors of terrorism are living within the borders of the United States, according to the Immigration Reform Law Institute (IRLI), first reported by Breitbart. IRLI revealed last week that it had obtained documents under the Freedom of Information Act (FOIA) that revealed that the 10,000 illegals have not yet been deported despite having been ordered to leave the country. The FOIA showed the illegals were from Iran, Syria, Sudan, and North Korea. IRLI said Iran "led the pack with over 6,000 or 61% of their citizens with removal orders followed by Syria with 20%, Sudan with 18%, and North Korea with less than a percent." Congress has recently held hearings where U.S. intelligence officials have suggested that Iranian sleeper cells inside the U.S. are awaiting orders to strike. IRLI Executive Director Dale Wilcox chatted with SiriusXM Patriot’s Breitbart News Tonight last week, warned that the 10,000 illegals from terrorist countries are a "very dangerous situation." "We have 10,000 aliens … some of them are criminals and that’s why they’ve been ordered removed. You could have some that might have come into the country legally at some point. However, they’ve committed crimes and they’ve been ordered removed. Then of course you have your garden variety of illegal aliens who have jumped the border or overstayed a legitimate visa. And they’ve been told to go home and yet they’re continuing to hide out in this country which only stresses the danger of sanctuary jurisdictions. People have to understand how dangerous this is in these sanctuary cities because the first attack on the World Trade Center … the New York subway bombing conspiracy, and 9/11, all of these plots were perpetrated by immigration violators. This is a very dangerous situation." Despite the dozens of sanctuary cities protecting illegal aliens from deportation, U.S. Immigration and Customs Enforcement (ICE) agents were able to deport about 44 illegal aliens in the last two fiscal years who were known or suspected terrorists.